Watch the birdie 8x8 paper pad - 667E. Petal pairs box set 3 - 882E. Petal pairs box set 3 punch pad - 888E. 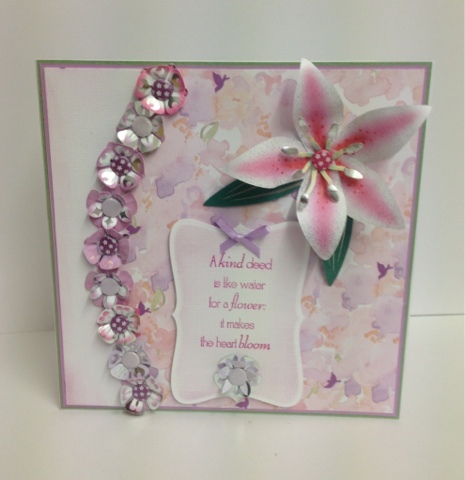 Bouquet boutique oriental lily die - 247E. Bouquet boutique oriental lily die pad - 647E. Butterflies beautiful bumper die & topper set (large tag die) - 666E. Tonic funky glue - 421E. Tonic funky tape runner - 422E. For more info pop over to my blog post here.